Harness your creativity by designing your own custom invitation or upload a design that was created for you. The provided file should be a 300 dpi image at 6.125 in. x 6.125in. Recommended file types are PDF, EPS or JPG. 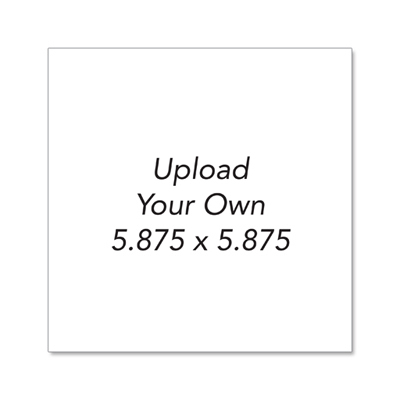 Your design will be cut to 5.875in. x 5.785in. and printed on high quality paper. Show off a design that is truly one of a kind. Envelopes included.